Kotor is a charming old town in Montenegro with old fortifications climbing up the mountains behind it. 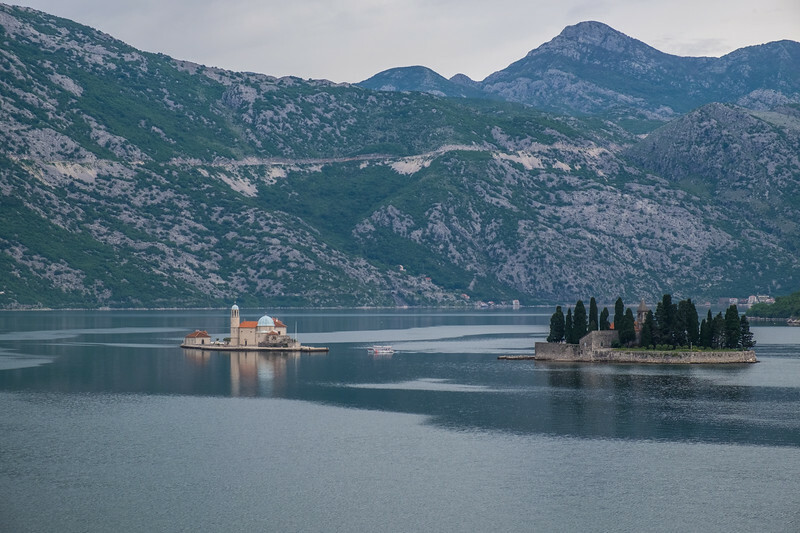 The Bay of Kotor is lovely and features two churches in the middle of the Bay. Our Lady of the Rocks was made by people throwing rocks in the sea to build up the island and the tradition continues each year. Perilous hairpin turns take you to the top of the high mountains for stunning views down to the bay.